I had a doctor’s appointment today. Not a big deal really, so no worries. Just been feeling a bit off lately and well, having a bit of a skin rash issue. I’ve been a bit in denial about dealing with the rash, but last week when it appeared on my neck (and forehead), I figured, it was time to face it (no pun intended). I hope you’re not picturing a “gross” rash…no nothing like that. No itching just icky red bumps that kinda look like acne. Even though I’m in my 40’s I’ll admit I was a bit nervous about it being acne – geez not again! Anyways…..my doctor is AWESOME!! She’s a vegetarian and fully supportive of my being a vegan this past year and a half…well, supportive as long as I’m healthy. Our discussion was about exactly that – me being the healthiest I can be. 1. 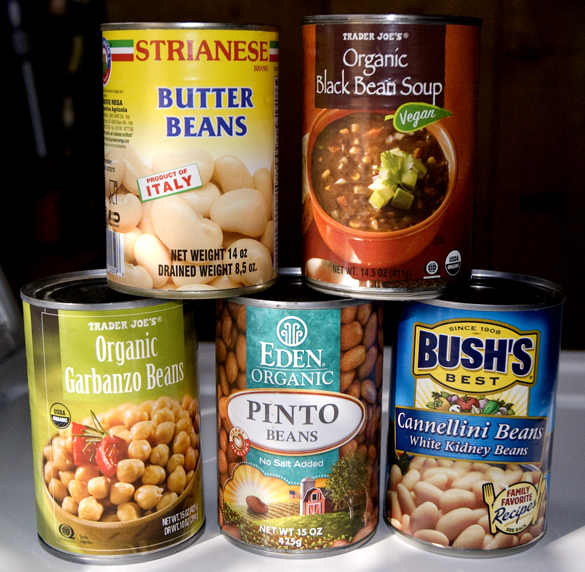 Eat more beans – a big variety of beans (pinto, black, garbanzo, kidney, etc.). As in eat some at least once a day if not twice. Good for the protein and good for the amino acids they contain – which I might be lacking, which might be causing this skin issue thing. 2. Get enough omega-3’s. 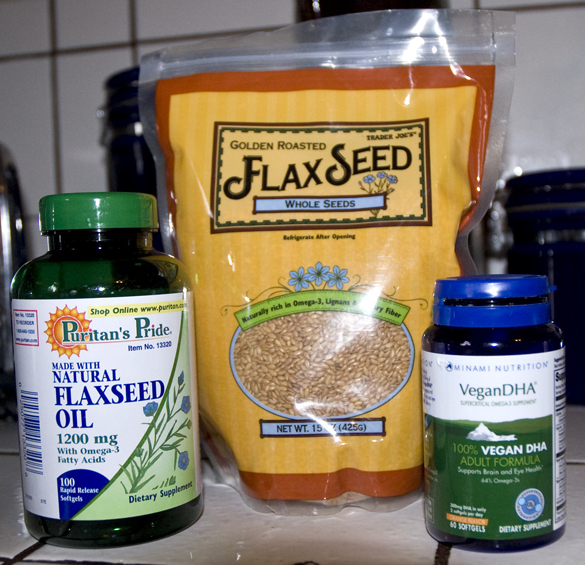 As a vegan, options include flaxseed oil, pumpkin seeds and vegan omega-3 supplements just to name a few. 3. 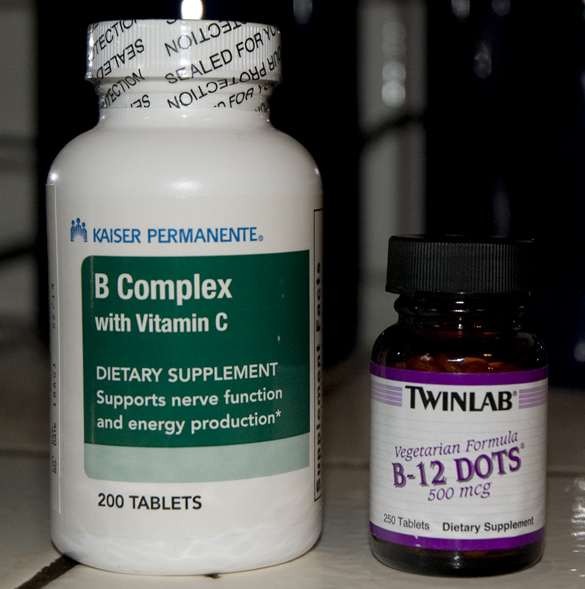 TAKE a B12 supplement!! This is very, very important – especially if you’re a vegan as you can only get B12 in animal foods from what I understand. 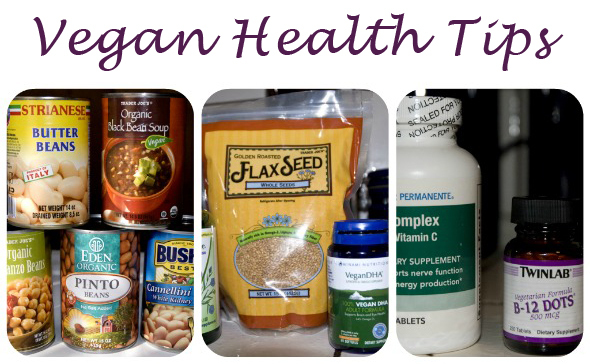 As a supplement the vitamin is not created from animals – so you can still maintain your vegan lifestyle. I’ve been a vegan for a year and half now – long enough to deplete any stores of B12 I may have retained from my vegetarian years. Now granted, if you’re vegan too, you may be that Rock Star form of vegan who is very diligent about what you eat and you get everything you need through your food. I’d truly LOVE to be that type of person, but, to be realistic for me, I’m going to accept that I’m not. I’m diligent a lot of the time, but definitely not ALL of the time. So, I’m choosing to take supplements because, as I’ve mentioned before, I simply want to be the healthiest I can be. What about you? Any thoughts, tips, input of any kind? I’d love to hear them. P.S. I’m not claiming to have any medical knowledge – the kind your doctor would have. So, if you have any questions about your health, I’d truly recommend checking in with a medical professional. « When Pops is away…. Yes, I take supplements too :) Today’s soil is devastated and even if you eat all organic and clean, you’ll still be missing some of the most important nutrients. So, on a daily basis I drink omega blend oil (omega 3, 6 & 9, the proportion between 3 and 6 is important, so better take them in a blend, the best omega 6 is evening primrose oil), folic acid with B12 (we want to have a baby, so the folic acid is mandatory) and spirulina. Sometimes, like 3-4 times per year I drink a multi-mineral formula and some of the fat soluble vitamins, like A, E, etc and B complex formula, probiotics and different super foods. As always your input is invaluable!! Thank you for your input…I’m promising myself I’ll be better about taking them…1 week in and I’m doing pretty good. Hope you’re off on your fabulous trip! !